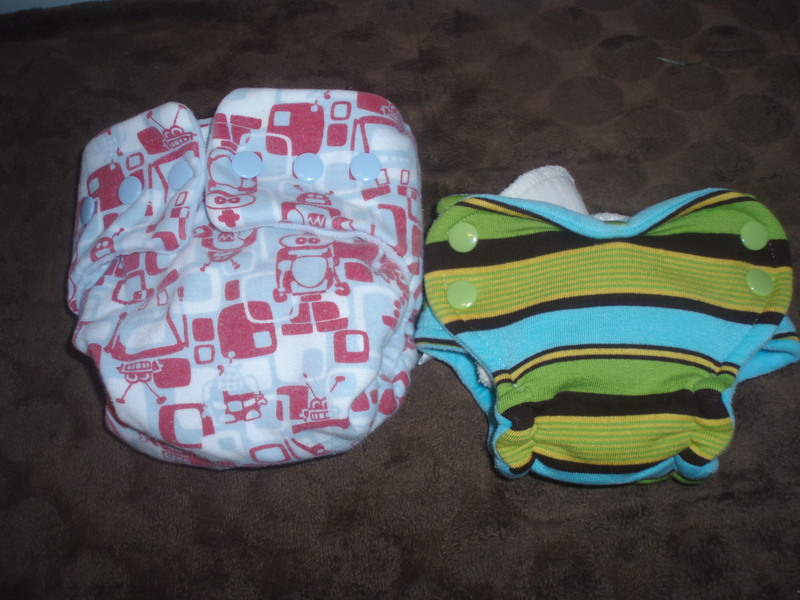 Do you REALLY save money cloth diapering? 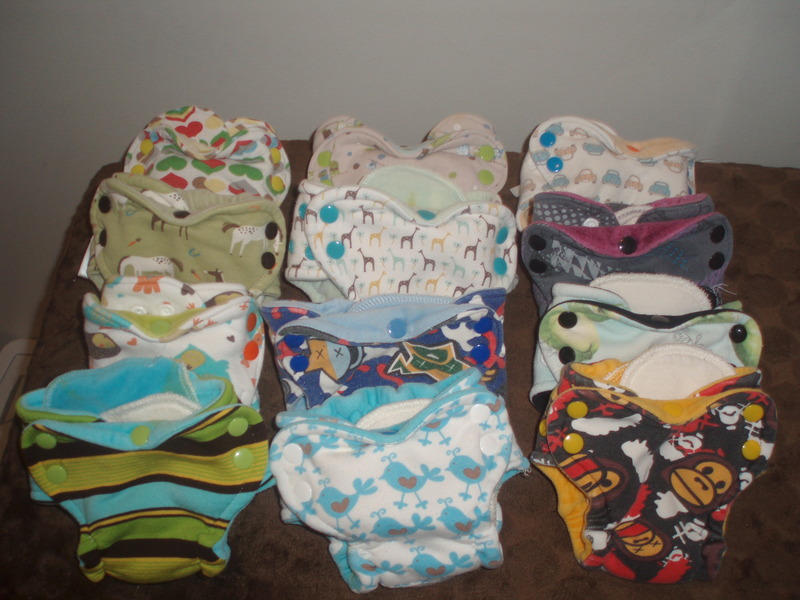 Cloth Diapers: The average price of a cloth diaper is $18, so I will use that number as my estimate. (Some diapers are more, some are less. I have quiet the mix.) 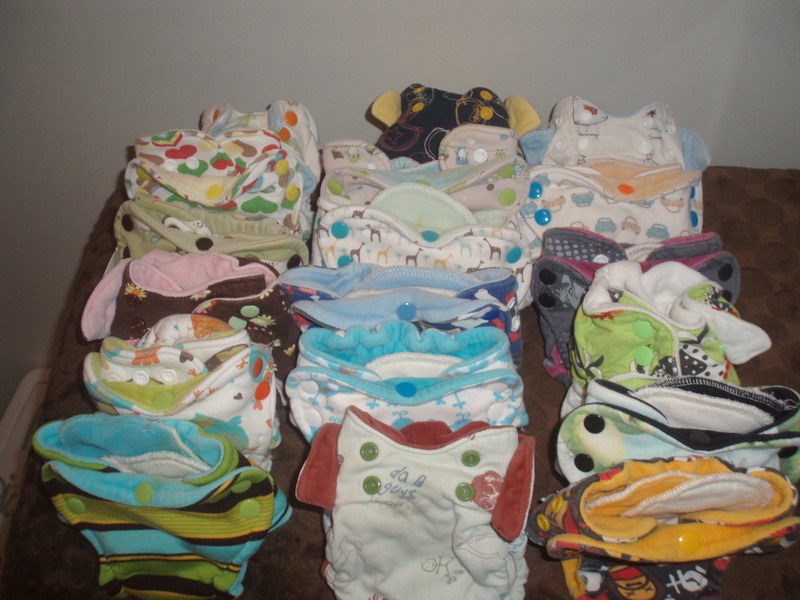 So, based on that figure, I’d have 24 diapers for the same 2 kids in disposables we talked about above. That would be $432 in diapers. 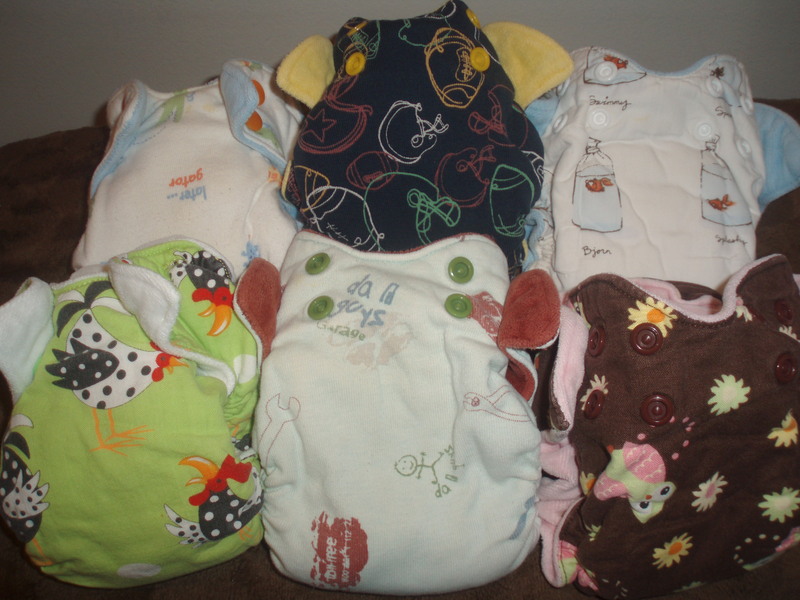 (My own personal diaper stash actually cost me less than $300.) 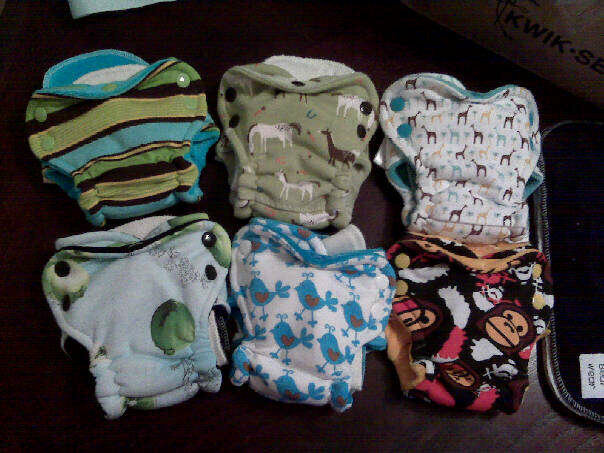 And lets say you buy wipes (I made mine from flannel scraps for FREE), that would be $21 for 30. So, now our total is up to $453. Now, let’s also say you decided to buy wipe solution. That would add $21. (I buy mine for $3.50 a container and if I used a lot of it, I’d use one container every 2 months. As it is, I actually use one container about every 3 or 4 months.) Now our total is up to $474. 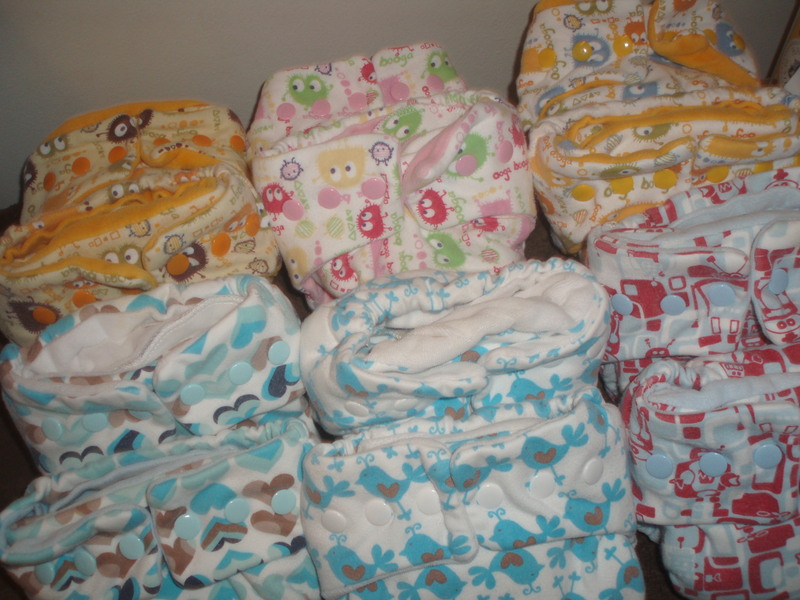 Add two diaper pail liners at $33 for 2 and our total is now $507. (I made mine for FREE from some leftover home decor fabric I had lying around. So, not attempting to be economical in both situations, you would save $886.96 by switching to cloth in one year. (And note that beyond that year, you continue to save more money! Your only continuing expense with cloth in this scenario is wipes solution. What do you do when they poop? Well, first I run in circles screaming before throwing all their clothes in the fireplace and burning them! Okay, so not really. But what do you do when your kid poops? Let’s see… you change their diaper? Wow? Really?! Me, too! First off, let me clear the air. You are NOT SUPPOSED to roll your child’s poop up in their diaper and toss it in the trash. Human excrement is not a substance that should go to a landfill. You are SUPPOSED to dump their poop into the toilet and flush it, then throw away the soiled diaper. That said, I don’t know of anyone that uses disposable diapers that does not throw away poop! But in case you ever wondered, you are not supposed to do that! There is a huge misconception out there that you must rinse or swirl dirty cloth diapers in the toilet or place them in some vat of magic poop erasing solution to clean them. You don’t. There are some people out there that still choose to rinse diapers or use a “wet pail” system for whatever reason, but that is not the norm. (It is usually only for people that use prefolds or flats, though some people like rinsing.) 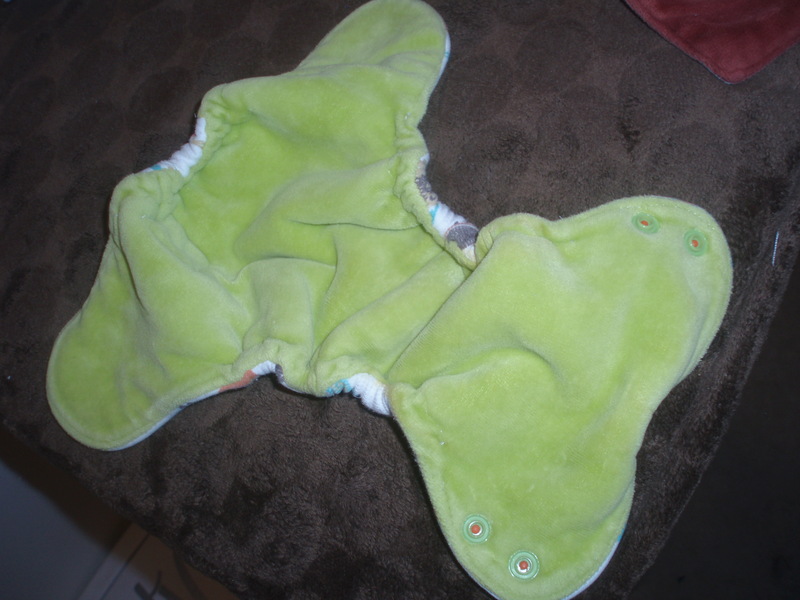 Most cloth diapering families simply dump the poop in the toilet (as everyone SHOULD- just teasing you) and then place the dirty diaper in their diaper pail. With exclusively breastfed babies, you don’t even have to dump the poop! WHAT?! Yes, the poop in water soluble and in easily rinsed off in the washer. A cold water rinse in the washing machine prior to your wash cycle. An added note on poop, flushing all poop down the toilet teaches your kid a very important life lesson. Poop always ends up in the toilet. It makes it easier to associate poop with toilets when they ALWAYS see poop going into the toilet. (And as young as 12 months, they can begin flushing their own poop down. Allowing you to introduce them to the potty in a non-threatening and non-expecting kind of way.) The toilet is never a “new” thing since it has always been part of the diapering process. We all go commando. No, really? What do YOU do when YOU go out? You change your babies diaper. If there is no trash to illegally toss that poop in, then what do you do? You put your diaper in a bag and toss it when you can (or when you get home). That is not far from what I do. If there is a toilet, I dump the poop before putting the diaper in a bag to take it home. No toilet? I put the diaper, poop and all, into a bag and dump the poop when I get home. Yes, that can be gross. But I think about that $886.96 while I’m doing it. (I once wiped butts for a living, so clearly poop & money go hand in hand for me.) I don’t find it difficult to cloth diaper ALL the time. 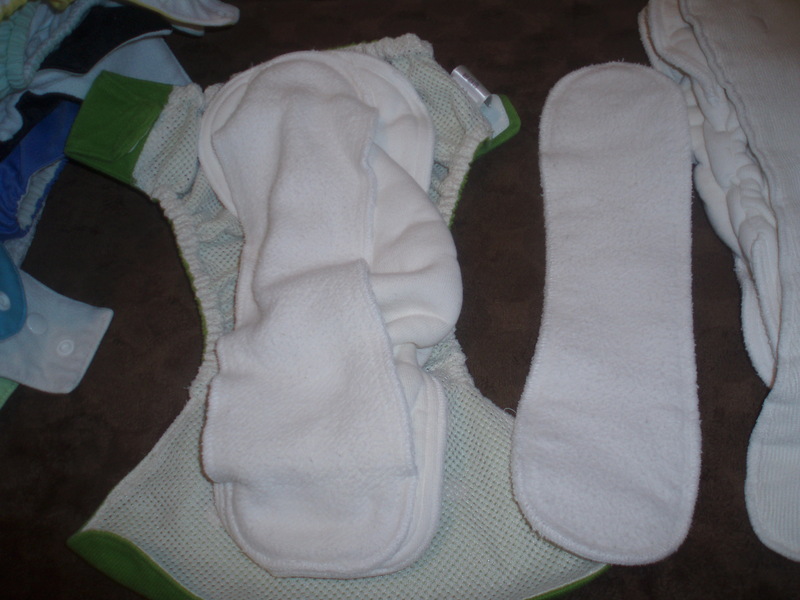 Some families do choose to cloth diaper at home and use disposables when out. Wash diapers. Seriously. When we visit family, it is easy. You just wash in their washing machines for a few days. When we went to the beach last year, we stayed in a condo that had a washing machine and dryer. Easy. If we are staying in a hotel, I will see if I can go the entire time without washing (if it is only one or two nights it is no problem at all). If I don’t make it, I then try to find a laundromat. (Disposable diapers can always be purchased if all else fails.) I have not found it to be a big deal at all. The main concern when we are heading out of town is to make sure all my diapers are washed and ready to go the moment we need to leave. How do you sanitize them? Well, having kids is a fairly messy ordeal in and of itself. Changing diapers is never a CLEAN event. Kids poop. And they vomit and snot and spit all over, too, but that is beside the point. But washing diapers is no more gross than having to take out the diaper genie trash. It is also no different having a diaper pail full of cloth diapers next to your changing table than it is to have a disposable diaper pail there. You reuse your undies. Your toddlers reuse their undies. You don’t have to personally grab poop with your bare hands. You aren’t tossing dirty diapers around your house like mini time bombs. I’m not sure what is so “gross” about the concept. It is kind of funny to me that most men ask this. As if men are THAT clean? I mean, really. Your underwear are 10 years old and you’ve got rock hard pit stains on your under shirt and you think washing and using a diaper again is gross. Okay, dude. Can you use your washing machine? Oh, you can? Well, then you won’t find cloth diapering difficult at all. What about wasting water? Isn’t that as bad as filling up a landfill with poop? Well, cloth diapering adds one extra load of wash a day to every other day (or every third day for some). You are going to add one toilet flush a day per child you cloth diaper. (For children eating solids and having solid poops.) That isn’t really THAT much. (Especially since that toilet flush shouldn’t really be EXTRA.) Believe me, teenagers do more water wasting than cloth diapering. (Unless it is a teenage boy in that “no bathing” stage they hit before they realize girls like clean boys.) To be honest, our water bill has not changed due to cloth diapering. If you live in an extremely dry place on SEVERE water restrictions, you probably would prefer to use disposables. But let’s all be clear and realize we are seriously talking about one medium load of laundry a day. You have to decide what makes sense for you and your community. Don’t you have to change their diapers more often? So, I know YOU wouldn’t ask this, but SOMEONE has. No, with cloth you cannot let a child sit in their urine all day without changing them. Yes, that creepy gel stuff in disposables does allow you to hold off for 8 hours until the gel part starts leaking down their legs. 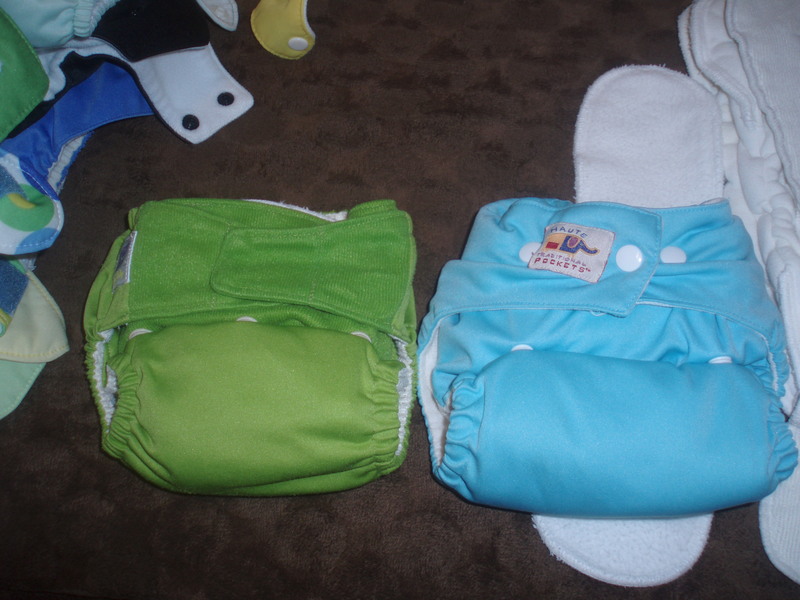 So, if you are accustomed to using 2 or 3 diapers a DAY for you child because you would hate to WASTE a diaper, then cloth diapering will seriously increase your diaper changes. You may even have to check on their diaper every 2 or 3 hours! Gasp! However, if you usually don’t like to let your child sit in urine, and change their diaper 6 to 8 times a day, cloth diapering will not increase the diaper changes you do. On that note, cloth diapering can be very reassuring to a breastfeeding mom (especially if it is her first bay). With disposables, sometimes you wonder if it is really wet or not (especially on little babies) because that creepy gel stuff absorbs so much! If it is not OVERLY full, you wonder and worry. With cloth, you can clearly see if they are wet. You can feel the insert (or diaper) and easily see that, yes, they are wet. No wonder. No Worry. Don’t cloth diapers leak a lot? Won’t cloth diapers turn your child into a Democrat? Not that I am aware. I’ll get back to you in 15 years when my oldest registers to vote. 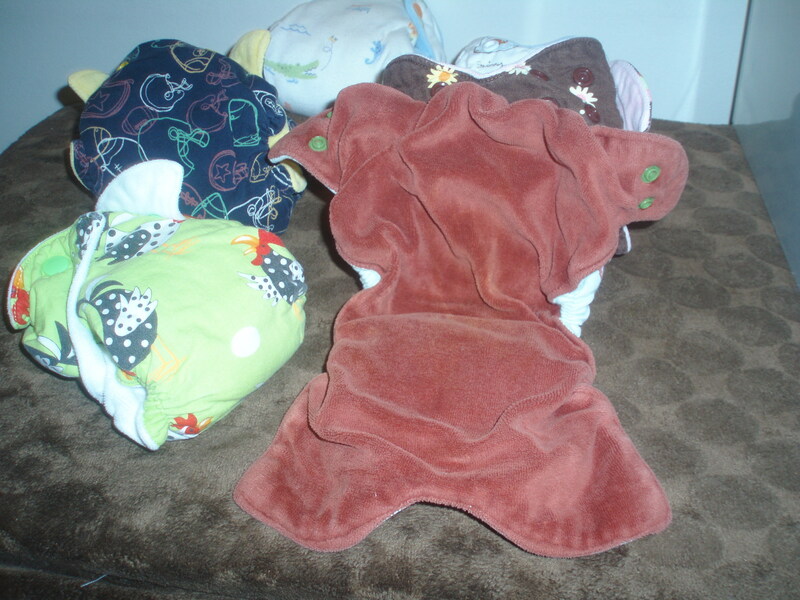 When deciding how to cloth diaper a newborn, I settled on fitted with covers. I knew none of my one size diapers would fit my little bitty babies. 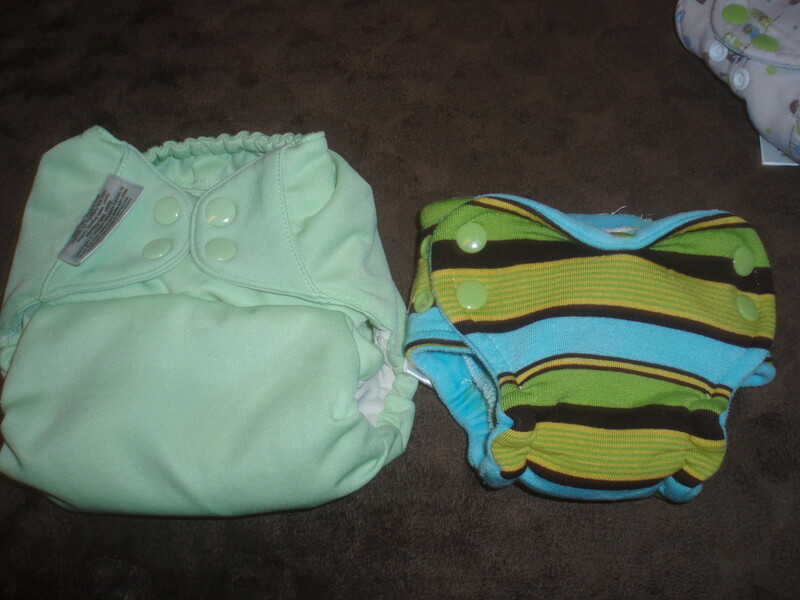 (Though since then have tried out WAHMies one size cloth diapers, and they would have fit my little bitty boy.) I had heard such lovely things about Nanipoos, so I thought I would order some and give them a try. I ordered 6 custom newborn size Nanipoos. There was a slight delay with getting them, since the sweet lady that makes them lost her husband the day after I ordered. But she was lovely to work with and kept in contact, even during such a difficult time. I appreciated that and waited on my diapers. They arrived the week Emery was born, so I had them in time! These diapers do require a cover since they are not waterproof. Nanipoos have snaps and an umbilical scoop in the front to protect baby’s little bebo. (If you haven’t read the Belly Button Book by Sandra Boynton to your little ones, you should. It is cute.) They easily fit my 6 lb. 13 oz. newborn. I imagine they would have even fit my first and she was 5 lbs. 2 oz. at birth! These work really well with Newborn Prowrap covers. Nanipoos are a bit more fluffy that my Graham Bear Wear diapers, but they work well! These easily fit until Emery was about 11 lbs. and big enough for most one size diapers. 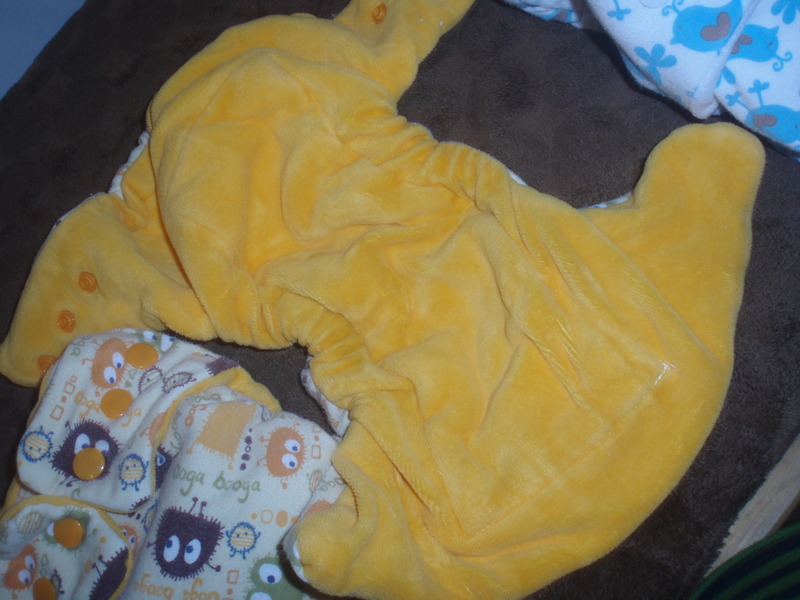 Side by side comparison of a Graham Bear Wear Newborn Fitted and a Nanipoo (on right). 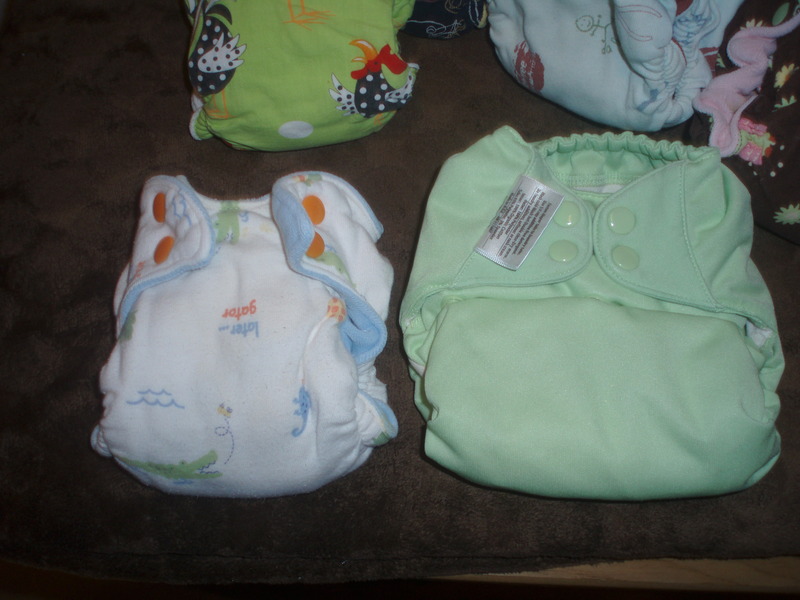 Side by side comparison of a Nanipoo Newborn Fitted Diaper and a bumGenius One Size Organic All-in-one (on smallest setting). You’re confused, right? What on earth is The Pastor’s wife doing with an All-in-Two diaper? She’s a One Size Pocket girl! 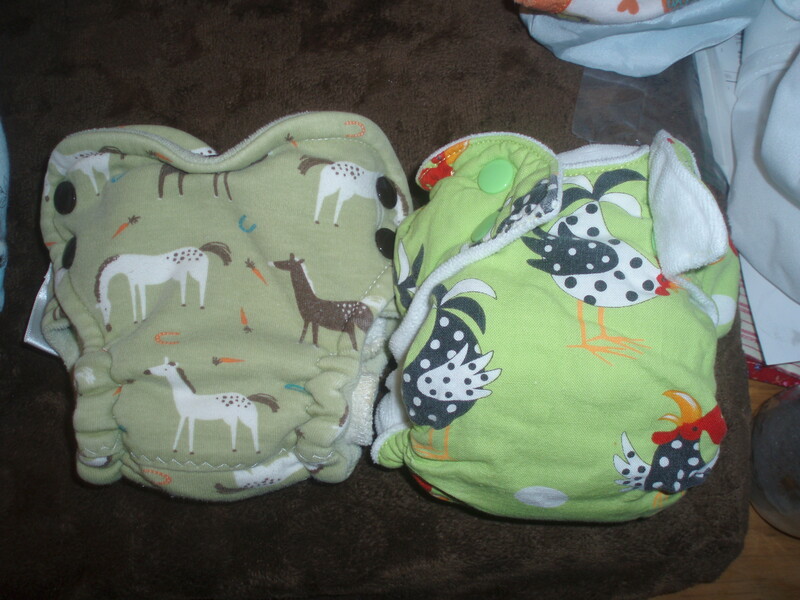 Well, yes, I am a One Size Pocket girl, but these Gro Baby One Size All-In-Two diapers were generously donated to The Parsonage (Thank you, Melissa!). So, I have tried them out (meaning I’ve used them over 100 times each) and are letting you know what I think. 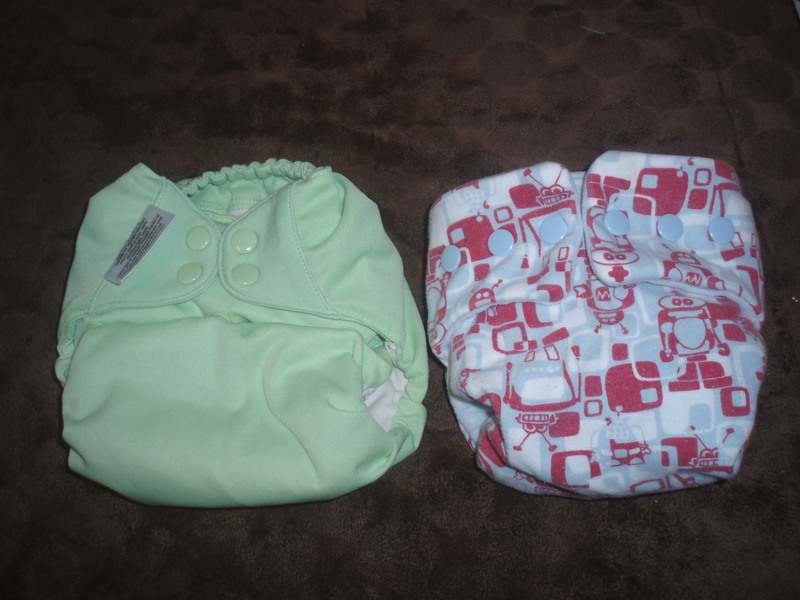 A side by side comparison of a Gro Baby One Size AI2 (left) with a Haute Pocket One Size Pocket diaper. Both on larger setting. 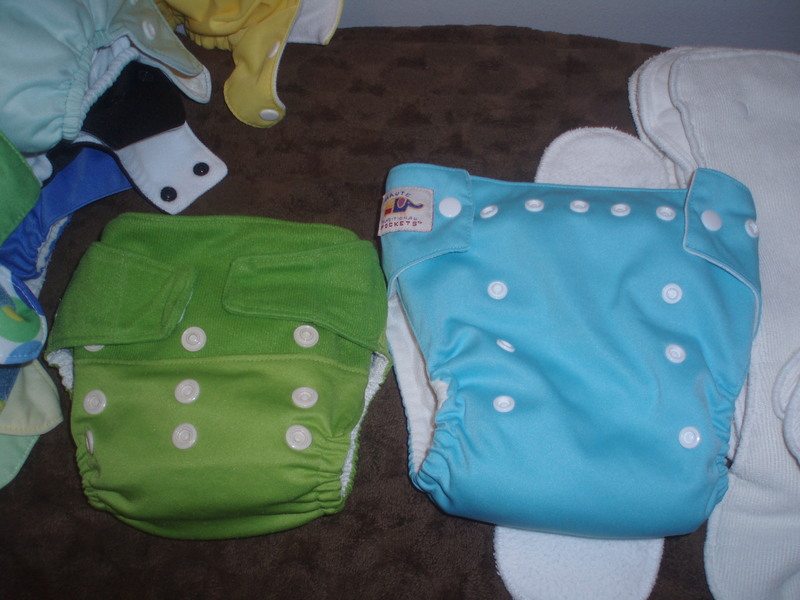 A side by side comparision of a Gro Baby One Size AI2 Diaper with a Haute Pocket One Size Pocket Diaper. Both on small setting. So, here is how these diapers work. The outer shell has a mesh (think basketball shorts) interior and two snaps. 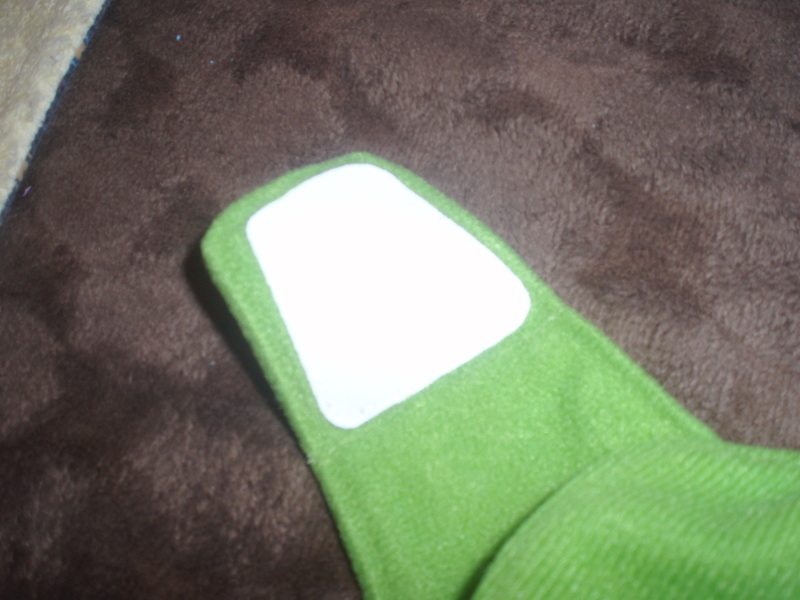 The inserts snap onto the outer shell and you can set a doubler on top of that. I was given 2 shells, 4 inserts, and 2 doublers. The theory is that when your little one wets the insert, you simply remove it and insert another, reusing the outer shell. That absolutely works out for older babies and toddlers. It does not work so well for little ones. When they are little (the babies, that is) they poop every time they eat. This means that they soil the shell and you can’t just pop in a new insert. Eventually, they get to where they only poop 5 times a day, which still doesn’t work out well for an all-in-two system. Then somewhere around 3 or 4 months old, they begin pooping only once a day (or once every three days). Then this system works pretty well. 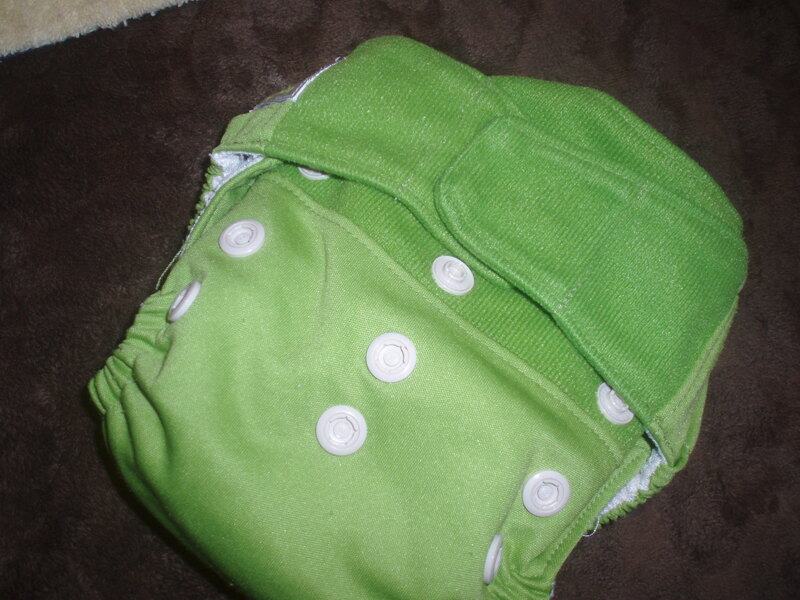 Interior of Gro Baby One Size AI2 Diaper. To the right of the diaper is the doubler for it. 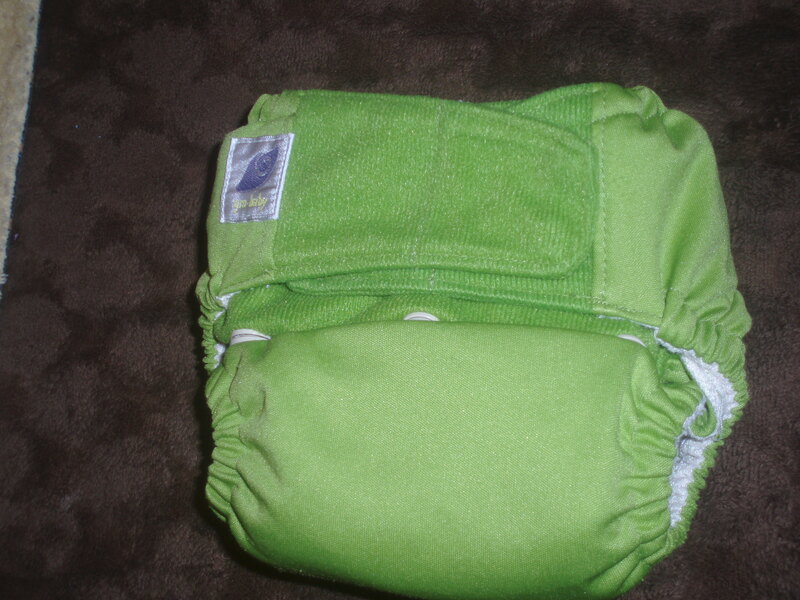 Interior of Gro Baby One Size AI2 Diaper with no insert. The inserts attach using the snaps on the shell. You can also see the mesh inside of the shell. So, here you see the aplix tab. Gro Baby has very gentle aplix tabs and the entire upper part of the diaper is the “loop” portion of the aplix. It is very gentle. It does not gather fuzz or lint and is not too very grabby in the wash. The laundry tabs don’t always stay closed, but they usually end up hooked to themselves and not snagging my other diapers, so I won’t complain too much about that. The aplix is easily opened by a toddler, though. It does not take much effort to open it. It actually feels more like a disposable diaper tab. I have many, many problems with the weakness of these tabs. These diapers are pretty small. They are very short, but kind of wide. They are similar in fit to a Rocky Mountain One Size or Tweedle Bugs One size, but a bit smaller. These fit Emery (17 lbs. and round) well. They seem the barely fit Aidan (26 lbs. and average to thin). They don’t fit Imogene at all. Realistically, I’d say the range on these is 6 lbs. to 30 lbs. Kind of crummy, since an all-in-two works best for older babies and toddlers. The weak aplix makes it impossible to keep on a child if using them on the larger setting. The tabs just let go when they are under any strain at all! 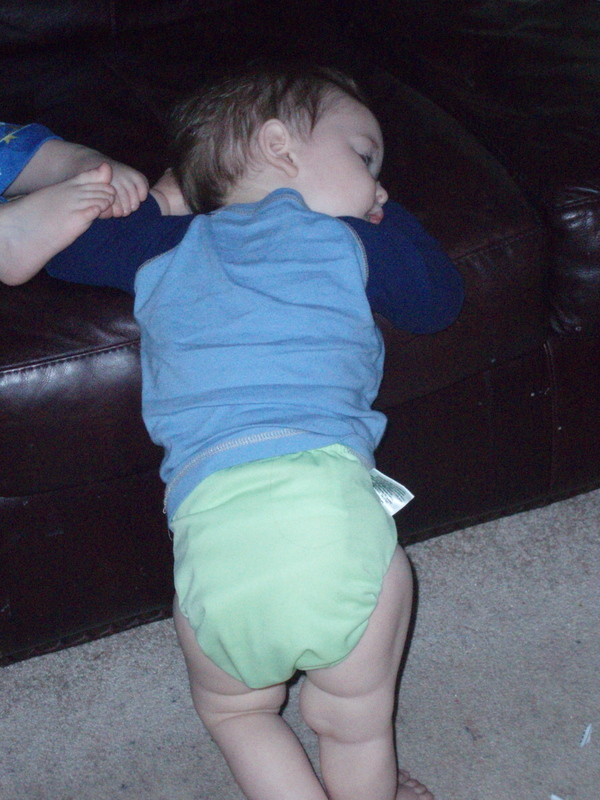 They are absorbent and work as a night diaper with the doubler, provided your child is a back sleeper. They leak with side sleepers and larger tummy sleepers. I do have the “old” version (I think new ones are coming soon), so I’m not sure if they will make the shells bigger with the new version. I love that the snaps aren’t white. It just looks cool. It makes them look nicer. After using them for about 150 washes, the elastic is getting much less springy. The back elastic on all my Gro Baby diapers is completely shot and the leg elastics are all making their way toward that end. So, less than 6 months of good elastic use. This could be due to squeezing my average size two and a half year old in them (which should be fine). I think I could have gotten another month or two out of the elastic if only the baby was using them. Which, the baby is the only one using them now, since the 29 lb. 2 year old no longer fits in them. I bought one Happy Heiny when I first convinced The Pastor that we should cloth diaper the little ones. I purchased the aplix version under the impression that The Pastor was certainly not capable of snapping a diaper. I thought, “I’ll have to use aplix (velcro for those that aren’t in the know about such things) because snaps are too difficult for The Pastor and he’ll get so frustrated he will forbid me to cloth diaper our children!” So, there were a couple problems with that thought. The first was that anyone would forbid ME to do anything! Ha! Such a silly thought! The second was that aplix is somehow easier. It isn’t. In fact, my experience has been that aplix makes my life more difficult. Yes, grandma’s and babysitters can much more easily figure out an aplix cloth diaper. But really, once you’ve put on a snap diaper once or twice, it is simple. Really. It isn’t rocket science- just diapers. And if you can figure out how to work those blasted adjustable waist kid pants, then pocket diapers will be a breeze for you! What a rant! Okay, I guess I should start my actual review. The Happy Heiny diaper we own has been labeled since the beginning as “Imogene’s diaper.” She still wears it at night. Why? Well, the fit of this diaper is very, very specific. Yes, it is a one size diaper, but it is not for the round child. 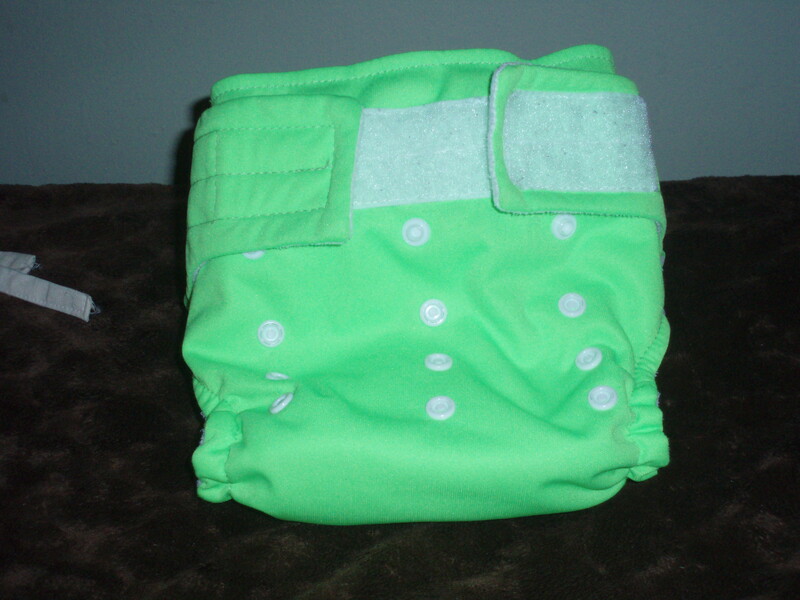 Imogene was 2 when we started cloth diapering, so she was out of her round stage. She fit in this diaper so well. Aidan was a terrible fit, still is to some extent. Emery is a terrible fit. 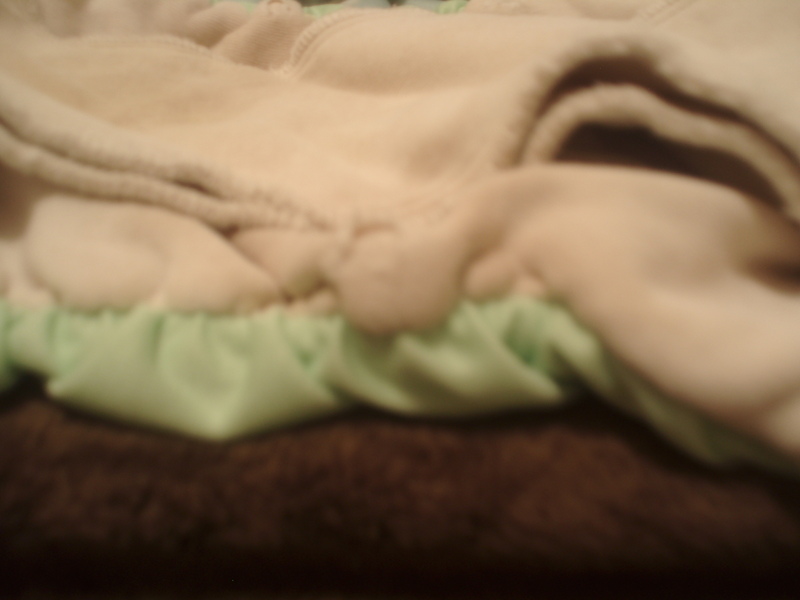 The interior fabric of a Happy Heiny is fleece. Yes, it pills with repeated use. No, the laundry tabs do not work. This diaper is the cause of many, many snags on my other diapers (usually my bumGenius diapers- they must be enemies). The large aplix tabs warp in the dryer. They still work, they just don’t look nice. When you put it on, you can kind of straighten them back out a bit, but they are forever warped. The aplix does accumulate fuzz and things, but it continues to work. And a note, they are not joking that the lime green color is lime! It glows! I like the shape of the Happy Heiny insert. It is an 8 or an hourglass, whichever way you choose to look at it. The insert alone is a great product! It would make you Blueberrys and Econappis work so much better! I don’t have leaking issues with this diaper at all. I do have the many, many fit issues. And of course, I have the laundry frustration of it grabbing onto everything else in the wash! This diaper still fits Imogene. She is now night time potty training, so it may get passed down to Aidan. (It fits him a little better now that he isn’t so round.) After 15+ months of daily use, the leg elastic has decided to wear out. This is a quicker wear than bumGenius (3.0 or organic AIOs), Blueberry, and Econappis. However, it is much longer than Haute Pockets! 450+ uses before elastic fails is completely acceptable to me! Elastic will not last forever, but this seems to be a decent amount of use out of the elastic.